Just my luck huh? I wait forever for the new N95 firmware to come out and my phone knackers up! For the last day or two it’s been showing “Sim card registration failure” or something along those lines. I wasn’t able to make any calls or anything, yet the phone seemed other wise ok. I tried my Virgin and Orange PAYG sim cards in the phone and they worked fine. However, last night I tried Kev’s o2 sim card and that didn’t work either. I thought it best to post about this here, because I know a lot of people who are anxious to get their hands on the update and this is just easier. 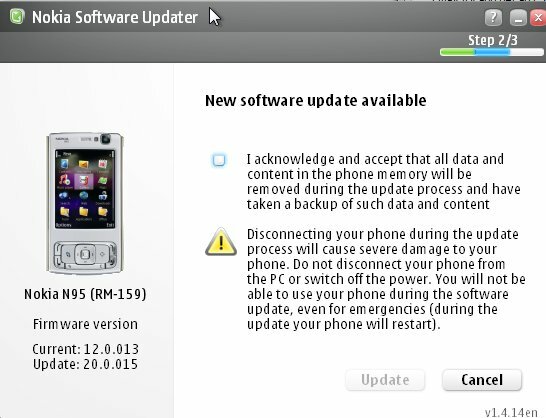 Nokia have released new firmware for the N95-1, which brings it up to V20.0.015, quite a leap! The main features of this update include a fix for the keypress bug, demand paging, and a faster camera application. I’m just downloading it now, in the hopes it will sort out any other problems too. I’ve got them all! All 120 stars in Super Mario Galaxy!! Are games getting easier? 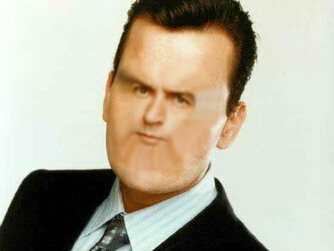 I remember it took me ages to get all 120 on Super Mario 64. I’ve heard a rumour that if I face bowser again I’ll be able to play as Luigi. I’ll soon find out if that’s true. I thought I would mention this because it’s suddenly become a bit of a shock to me. I was referring to the results of a website that I visited that day, which claimed to tell fortunes. I look at the post now, and I’m 25… a little worried. Well, that was quick. 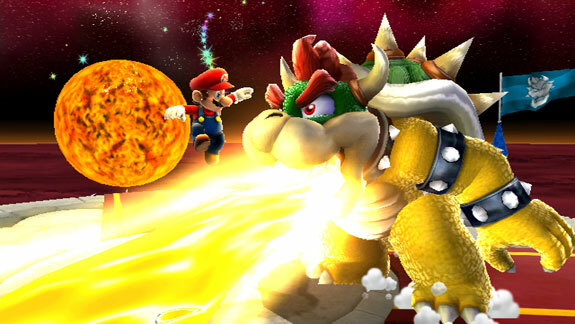 I just completed Super Mario Galaxy. Of all 120 stars in the game, you only need 60 to face bowser and complete the game. I’m now working on getting the remaining 60, but it’s strange that I was able to get so far in the space of 30 hours, taking into consideration that I have work and need to sleep/bathe/dress/travel (basically, have a life) as well. Yup, I bought one of the most anticipated Wii games of all time this morning… Super Mario Galaxy! Well… I say bought… I actually used some of the vouchers that I got for being at Garlands for three years, so in a sense I got it for free! I know, I was going to use them for getting Christmas presents with (or put them towards them anyway) but the way I see it I’m gonna be buying this game if I didn’t have the vouchers anyway, so there’s nothing lost. I’ve only been playing this thing an hour and I’m hooked! I can definitely see why everyone says it’s pretty much a sequal to Super Mario 64 as the gameplay and control style is very much the same. I can’t comment on Super Mario Sunshine though, as I haven’t got it (but plan to at some point). The graphics of SMG though… stunning! I have a cheap TV – no HD or anything – and this looks gorgeous on it! Who needs Hi-Def when you can get graphics like this on a Nintendo Wii!? Ya know I mentioned that I had a sore throat a couple of days ago? Well… it was a full on cold! 🙁 I could bearly speak today as it hurt so much, and I’ve been feeling awfully drowsy as well! Luckily, I didn’t have to go onto the phones tonight. My TL could tell by just looking at me that I was bad. Instead, I was preparing envelopes to hold the receipts that we send customers when they make payments.